Is your university keep insisting you to verify your SSC and HSSC certificates or degree? Or your company needs to know you have the real document of your matriculation and intermediate? 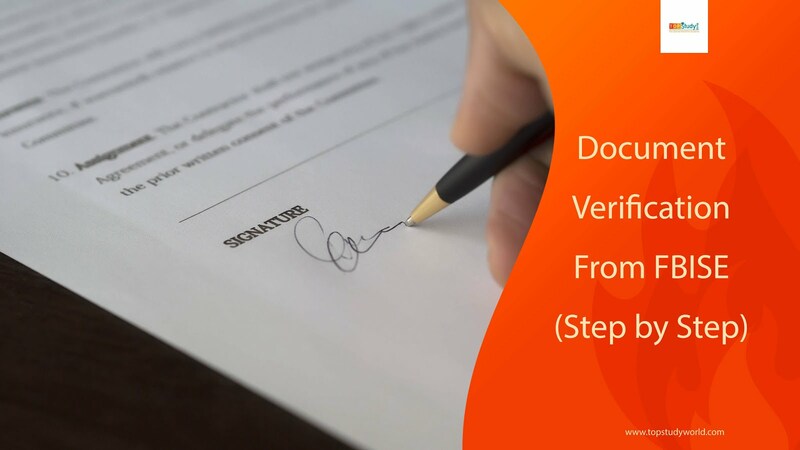 Is the process difficult to get the documents for verification? Hell No! FBISE has made the steps so easy to follow. I got my degree within 2 days. How fast! Go to FBISE Challan Online. 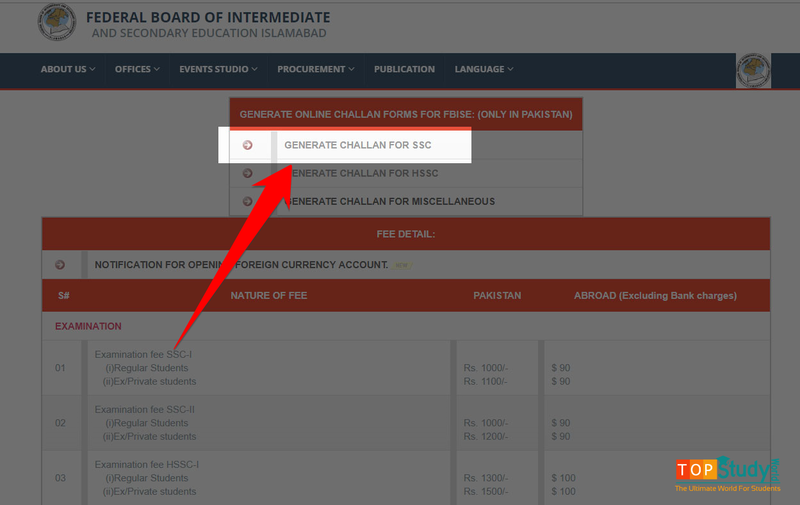 Now click "GENERATE CHALLAN FOR SSC." 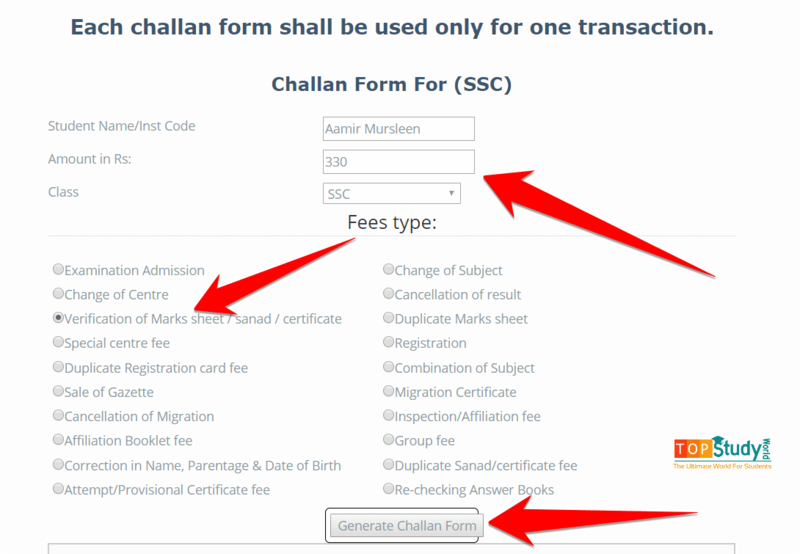 Note: Many universities, need both SSC and HSSC documents, for that, you have to generate HSSC challan form separately, and fill the application separately as well. Read on, I'll explain. Type your full name written on your FBISE registration card, write the amount Rs. 330 and select the fee type Verification of Marks Sheet/ Sanad/ Certificate. Note: At the moment of writing this article, FBISE charges Rs. 330 for document verification. It is subject to change in future. Scroll down a bit you can see the latest fee. Download the PDF after you click Generate Challan Form, and print it out. I will recommend trying on your laptop instead of your smartphone. You have printed it out, right? 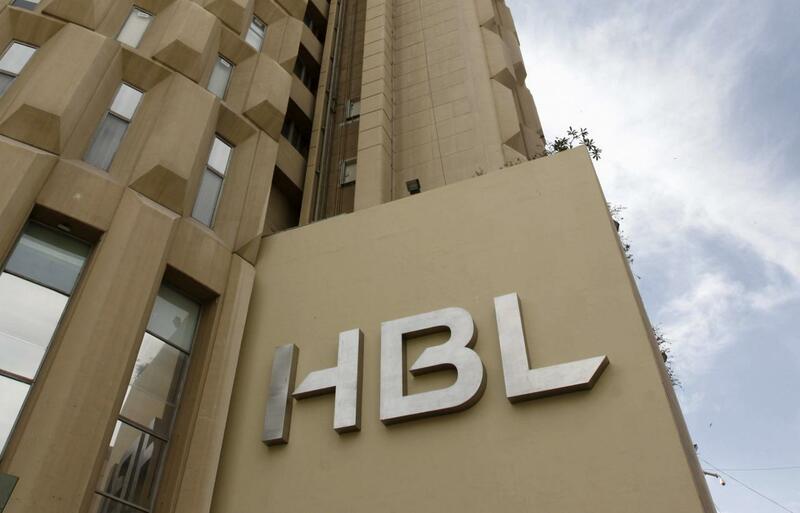 Now go to any nearest HBL branch and deposit the fees. If you want for SSC and HSSC at the same time, you have to pay Rs. 660 instead of Rs. 330 that is the fee for one document. Have you come home? Good! 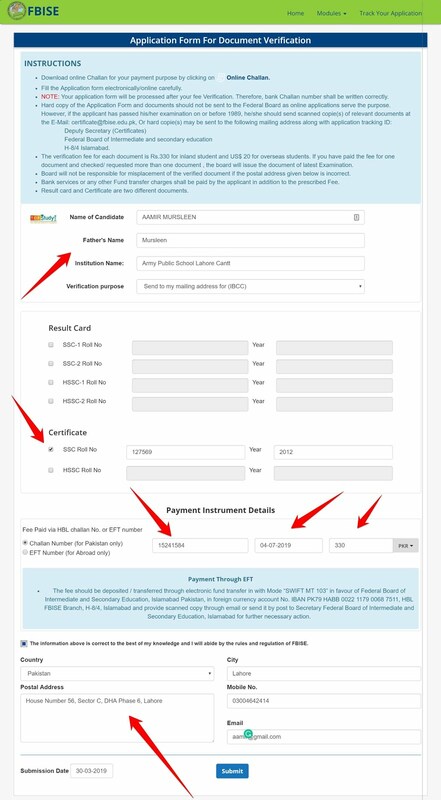 Now go to FBISE Document Verification Form and fill the form for SSC. If you want for HSSC, then you need to fill it separately. Select Certificate. You can't select two certificates at the same as written in the instructions. Write your valid physical address where TCS will send the document. 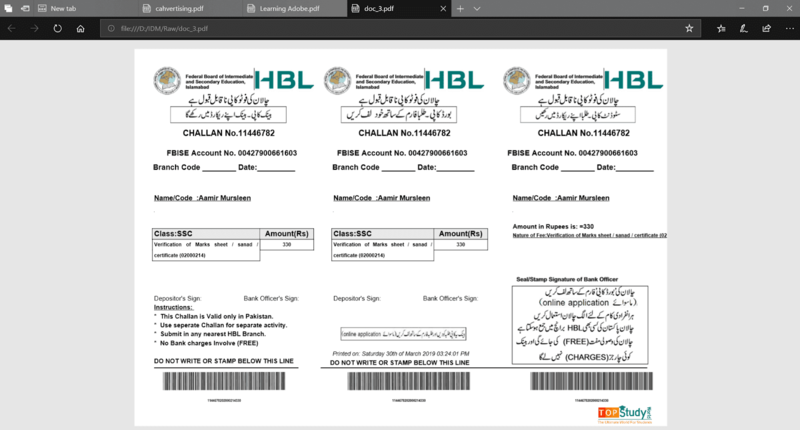 Write the Challan Form Number that you deposited in HBL for the given day. You can repeat the process for HSSC. Again, you can't get SSC and HSSC with one application. Fill it out separately. Write Rs. 330 that is for SSC. When you will fill again for HSSC, and you will write again Rs. 330. Once you click the Submit, you will get the following details. Note it down on your phone or notebook. FBISE will provide you the TCS number after one or two days. You can click the link and track the application for FBISE what they have done for you so far. 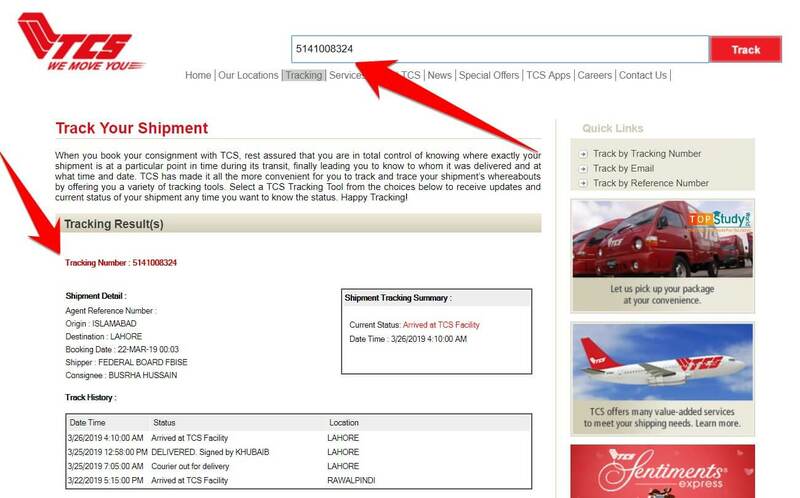 Go to TCS Track Your Shipment and type your TCS number that FBISE shows you. It will reveal the details where your certificate/Sanad/degree/documents have reached. Note: It doesn't show at the moment you click Submit. It takes one or two business days. If you have any question, feel free to ask below. I will be happy to answer.